The 2014 FIFA World Cup™ begins in Brazil this Thursday June 12th with a match between host country Brazil and Croatia. My household is getting very excited for the matches. My boys are huge Football Fans, and this is an exceptionally special World Cup for my husband, as he gets to share Mario's first World Cup with him. From June 12th - July 13th we will be watching all of the matches and cheering for our favourite countries (go to fifa.com to see the match schedules). My husband prides himself in the fact that he has seen every World Cup match that there has been in his lifetime, so yes, like most of the world, we will be watching a lot of soccer for the next month. And I am ready with T-Shirts and Soccer Jerseys for myself and for my boys, we will show pride for our favourite countries while cheering for them throughout the tournament. Here is a round up of some of my favourite World Cup T-Shirts and Jerseys for little ones. Enjoy the matches, as the 20th FIFA World Cup™ promises to be a celebration of friendship and passion for the game of Football. This H&M Graphic T-shirt is adorable with Blue from "Rio" printed at the front. I got Mario this T-Shirt, as he loves both Soccer and "Rio". This T-Shirt is cute for a boy or for a girl. This adidas Little Boys' Fuleco Tee has the 2014 FIFA World Cup official mascot "Fuleco" graphic printed on the front. Your little one can show his/her love of soccer and the World Cup with this cool graphic tee from adidas. This Zara "BRAZIL" T-SHIRT has a "Best Team Ever.. Brazil" printed graphic on the front. 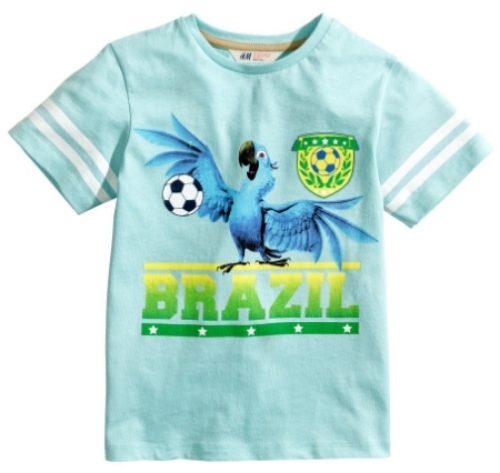 This is a cool T-Shirt for your little one to show pride in the host country Brazil. This Umbro Soccer graphic tee is a fun way to cheer on and show support for the host country Brazil. GOOOAL! This Umbro Soccer graphic tee is a cool T-Shirt for your little one to cheer for their favorite team. GOOOAL! This J.Crew BOYS' WORLD SOCCER TEE is in vintage jersey that's seriously soft enough for soccer practice, this is a tee to keep at the top of his drawer. This Nike Brazil 2014 Youth Home Soccer Jersey is the coolest way for your little one to cheer on Brazil in the official home jersey from Nike. 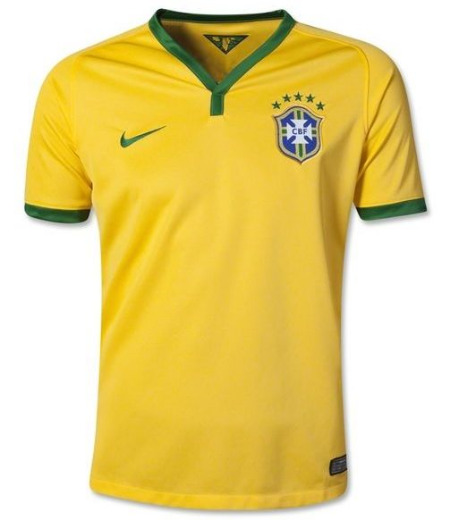 At worldsoccershop.com there is 2014 FIFA World Cup Hub where you can buy your little one, or yourself, an official jersey of all of the World Cup Country Teams.